When I graduated from Hunter College (NY) in 2015 I started to work at the Hospital for Special Surgery immediately. I always felt that the spine and its pathologies and treatments was my interest and I started to took many continue education programs to enhance my knowledge about this specialty. In 2009 I joint a non-profit organization names The Foundation of Orthopedics and Complex Spine (FOCOS) is an organization launched in the United States in 1998 at the Hospital for Special Surgery lead by Dr. Oheneba Boachie-Adjei who has made the human spine his life's work and has revolutionized spinal surgery. The foundation mission is to provide comprehensive, affordable orthopedic care to those with complex spine deformity who would not otherwise have access to such treatment. The cases the foundation treat are among some of the most severe in the world—many that no other team of surgeons would dare touch. With the support of dedicated staff and volunteers and generous donors and partners, they are transforming the lives of patients throughout Africa and the world. I was inspired by three mission trips to help these children in Africa providing physical therapy to kids after sever complex spine surgery to correct their deformities and provide them with ‘new life’. I studied the book for six months, reading it over six times, trying to make sense of the different treatment suggested to the different curve types but found it to be still not easy to understand. Therefore, few months after I decided to fly to Germany and to attend the certificate course of the Schroth method at the original Katharina Schroth clinic in Bad-Sobernheim, Germany. I am honored to say that I have met Christa Lehnert Schroth at her home and joined her for couple of days treating her patients in her late eighties. I completed the training, came back to the hospital for Special Surgery and started immediately to apply the method. I was able, with time, dedication and patient to design the first and only scoliosis conservative center in New York providing the method in 2009. I started to coordinate teaching the method in Hunter College, New York by the German teacher Axel Hennes. In 2011 I went to attend the SOSORT conference in Barcelona, Spain. I was by myself, somewhat apprehensive and nervous to be alone, but luckily at the cocktail party I heard a group of young ladies speaking Hebrew (my native language), I came closer to the group and introduce myself. Israeli are quick to connect all over the world, so immediately I felt better and the conversation flow. I told them that I was working for Dr. Boachie and his team of spine surgeons in New York City, and they knew who he was, as an anecdote, they met him at the conference where he gave a speech as the president of the SRS, the same conference where he came from to Ghana and handed me the Schroth book. 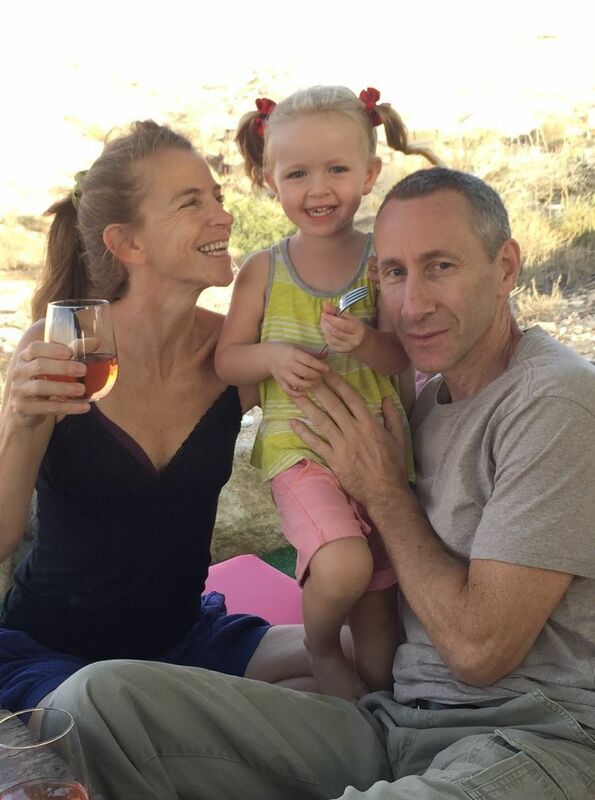 That night the Israeli group, who included the Israeli Schroth-Barcelona Scoliosis Physical Therapy School (BSPTS) Educator Lior Neuhaus Sulam and her Momther Tamar, introduce me to Dr. Manuel Rigo – and that was the best thing that ever happened to me. 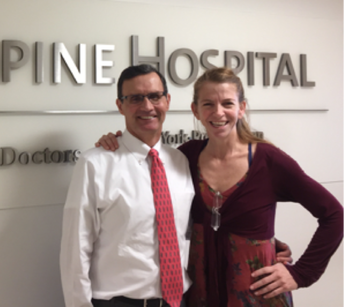 Dr. Manuel Rigo is the clinical director of the Barcelona Scoliosis Physical Therapy School practicing and teaching the original principles of the Katharina Schroth method. I decided to come back to Barcelona and to take the Schroth C1 (basic level) and the C2 (advance level) courses from him and I have received my certificate to treat per the BSPTS in 2012. Since then I attended every SOSORT meeting, presented my work, and publish on the method. In 2013 I received my instructor-educator diploma from Dr. Manuel Rigo and started to teach courses in New York (C1 and C2) to other physical therapists with interest in the Schroth method and spine deformities. I am the owner of SchrothNYC clinic in New York City and an employee of Columbia University Medical Center. I am treating both the adolescents and the adults with spinal deformities and other issues such as pain, dysfunction and derangements. I love my job very much both the treatment and the teaching. I have a wonderful team that I work with that include surgeons, orthotists, therapists, nurse, physician assistance, researchers act and I consider myself luck and fortunate to do what I love most. I am a mother to Gali, a beautiful girl, who was born in 2013 in New York City and I am loving motherhood and enjoying spending every minute with my family when I am not treating or teaching. Hagit is also a member of FOCOS The Foundation of Orthopedics and Complex Spine which is a non-profit organization founded in 1998 by Dr. Oheneba Boachie-Adjei, with the mission to provide optimum orthopedic care and improve quality of life to children with scoliosis and other spinal issues in Ghana and other African countries. She travels with FOCOS on a yearly basis to provide physical therapy to children and adolescents after complex spine surgery. Dr. Manuel Rigo and Dr Gloria Quera-Salvá received approval to begin teaching Schroth certification courses for physical therapists in 1989 – first in Barcelona and later in Israel and the USA. In 2009, Dr. Rigo founded BSPTS to further develop scoliosis curriculum for educating physical therapists. BSPTS teaches the original principles of Schroth, with advanced concepts learned during years of clinical experience and research. The first International Body of Instructors for the school was formed in 2011 in order to begin offering scoliosis rehabilitation education courses across the world. Dr. Michael G. Vitale is a leader New York Pediatric Spine Surgeon. He is the Ana Lucia Professor of Pediatric Orthopaedic Surgery at Columbia University Medical Center, he is also Director of the Division of Pediatric Orthopaedic Surgery as well as the Chief of the Pediatric Spine and Scoliosis Service at Morgan Stanley Children’s Hospital of New York – Presbyterian. Dr. Vitale is a New York Pediatric Spine Surgeon specializing in spine surgery as well as non-operative treatment of complex pediatric scoliosis and other spinal disorders. He has a special interest in the treatment of patients with Early Onset Scoliosis. As a leader spine surgeon, he has pioneered numerous innovative surgical techniques, and has developed spinal instrumentation systems to improve the care of children with scoliosis. Christa Lehnert-Schroth literally devoted her entire life to treating scoliosis patients. The daughter of Katharina Schroth, who had developed a system of physical therapy to halt and reverse scoliosis and related spinal deformities, young Christa began helping her mother in her clinic already as a child. She later completed formal training as a physical therapist and continued working in her mother's practice in Meissen, near Dresden, in the then-East Germany. Her legacy is carried forward by a steadily growing number of therapists as well as her son, Dr. Hans-Rudolf Weiss, who continues to practice and develop Schroth therapy. Integrated Wisdom: Yoga Therapy for Scoliosis Based on the Schroth Method– December 1-3, 2017 – FL. C1 Barcelona Scoliosis Physical Therapy School (BSPTS) - Teacher Trainer since October 2013.